"We were amazed. This is a curiosity you can not imagine – I mean, that's very, very, very rare. According to the New England Journal of Medicine, the man was an intensive care patient at the Medical Center of the University of San Francisco, for whom he was treated for end-stage heart failure. 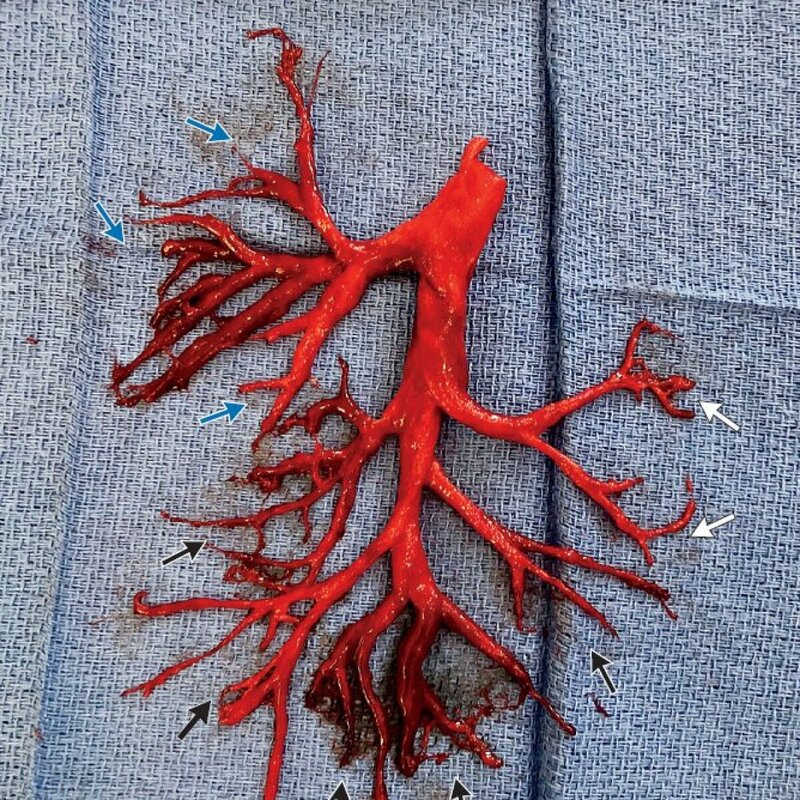 During the week of the patient's hospitalization, the man had periodic coughing fits that led to an extreme coughing fit when he suddenly released the unusual blood clot. After the oxygen was delivered to him via a tube, the man's cough stopped two days later and led to the removal of the tube. Although the coughing subsided, his health unfortunately worsened. Despite the best efforts of the physician and the support of a ventricular device, the man died of heart failure a week later.